Valsartan is an effective and widely used medication for hypertension, part of the angiotensin receptor blocker (ARB) class. Its original brand name was Diovan, but overwhelmingly patients take the generic valsartan. We have about 4 dozen members who take this drug. 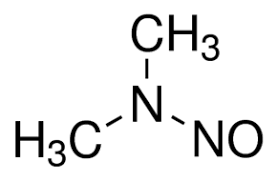 Notice has been spreading in the past month that a Chinese manufacturer of the feed-stock chemical valsartan allowed it to be adulterated during manufacture with a toxic chemical N-Nitrosodimethylamine, usually known as NDMA. This potential carcinogen has gained notoriety in recent years by showing up as a groundwater contaminant from fracking. You probably have read of it. Tiny amounts are not an issue, but continued use certainly is. Not all sources of valsartan used that contaminated raw chemical stock, so not all prescriptions of valsartan are being recalled. Many of you have been told to get new pills by your pharmacy, and others have been told there is no problem. While we have no direct way of tracking these details, no one who took contaminated valsartan tablets for weeks or months is likely to be in meaningful jeopardy. However, with little question the recall of much of the available valsartan product (either alone or with HCTZ) will generate pressure on the supply of clean valsartan. There is no reassurance that there will be an adequate supply of clean valsartan going forward. We need to change drugs. I believe the safest and most effective solution is to switch everyone taking valsartan to another comparable ARB, specifically irbesartan (originally called Avapro). This drug is readily available and has no reports of contamination. The dosage is almost the same (75 mg irbesartan for 80 mg valsartan, 150 mg irbesartan for 160 mg valsartan, and 300 mg irbesartan for 320 mg valsartan). It is generic and on everyone’s formulary. In certain cases candesartan may be indicated. Losartan is a widely available ARB (it was the first drug in that class), but its duration of action is shorter and the other named drugs are more effective. We are trying to reach out to any member taking valsartan and institute change to irbesartan. We have not gotten to all of our members. Please contact us if you are taking valsartan whether or not you were contacted by your pharmacy. For those of you who were told by the pharmacy that your valsartan prescription was not affected, no immediate action is needed. But we will still plan to switch to irbesartan at our next visit to head off what almost certainly will be supply problems down the road for uncontaminated valsartan.